Manchester United star Wayne Rooney has revealed that he still uses boxing as a way to curb his temper. The 24-year-old gave up boxing to pursue a career in football when he originally joined Everton, but the bug has apparently never left. 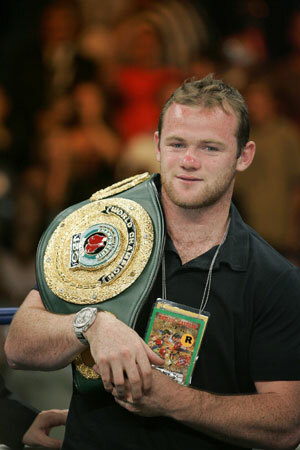 Rooney told Champions magazine: "I used to do boxing and football. "I was training every night with one of them and when I got to about 15, Everton said I had to stop boxing if I wanted to carry on playing football. I had a good chance of making the first team, so I stopped. "I still love watching boxing. It is a big thing in my family. I can still do a bit now after training, but obviously not fighting. "I enjoy it. It is a good way to get rid of some anger."